With the growing popularity of environmental-friendly products, more and more companies are offering paint labeled either "Low VOC" or "No VOC." While these labels sound positive, it's important to understand exactly what they mean so you can make an informed decision when buying paint. VOC stands for "volatile organic compound." VOCs are found in many building materials and are partially responsible for that new paint smell. Unfortunately, these unstable chemicals let off gasses that are very harmful to people and the environment, which is why the government now regulates them. Since VOCs are found in paints, they can also build up quite a bit in the home. According to the Environmental Protection Agency (EPA), "studies have found that levels of several organics average two to five times higher indoors than outdoors." When inhaled, VOCs can contribute to several health problems, including irritation to your airways, headaches, nausea, and even damage to the liver, kidneys, or central nervous system. Due to this, it's best to use products with minimal amounts of VOCs whenever possible. Low VOC paints have reduced amounts of volatile organic compounds, meaning they don't off-gas as much as traditional paints. It's important to remember that when it says "low" it's only in comparison to some other paints. There's are no standards that define what "low" means, so the labels are arbitrary, at best. Paint brands that have low VOC options include Behr, Farrow & Ball, and Para. However, this is not an extensive list because some paint companies offer low VOC options as well. Paints with no VOCs have no volatile organic compounds in them. That's not to say they don't contain any harmful chemicals, though. In fact, the paint tinting process can sometimes add some VOCs. That said, these are still a great option. Brands that have no VOC options include AFM Safecoat, Behr, Benjamin Moore, Sherwin Williams, and Yolo Colorhouse. Again, other brands make non-toxic paints. The biggest advantage to low and no VOC paint is that there is very little odor. Today, they tend to dry quickly, provide good coverage, and offer a durable finish, unlike the earlier versions when these paints were first introduced. Also, they can be applied to many different surfaces. Best of all, they are easy to find and are available in a great variety of colors. There is a downside, of course. Sometimes, these paints can contain other solvents and additives that can be harmful. For this reason, it's important to understand everything that goes into the paint you're buying. Ask the retailer and do some research on your own about any brands you're considering. 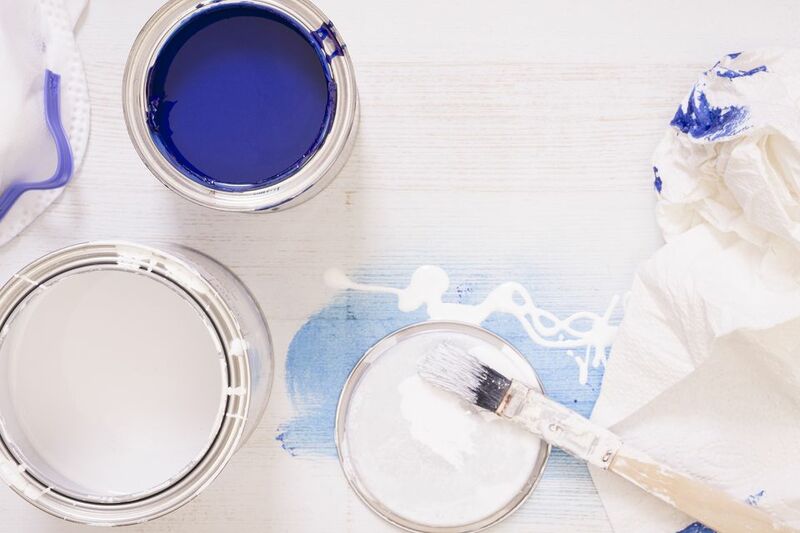 When buying paint, look for paints that are labeled "non-toxic" or "natural." Read the label to ensure they contain no extra solvents or additives and check for 5g/L or less of VOCs. If you're still not sure about which brand is best, ask an expert at your local paint store. Many eco-friendly paints are making their way onto the market, including recycled paint, milk paint, and plant- or mineral-based paints. Be sure to check out these alternatives before buying. Is Your Room Color Affecting Your Mood? Decorating With Charteuse - 50% Green, 50% Yellow, 100% Fabulous!